Wow! What an amazing Guild we have! 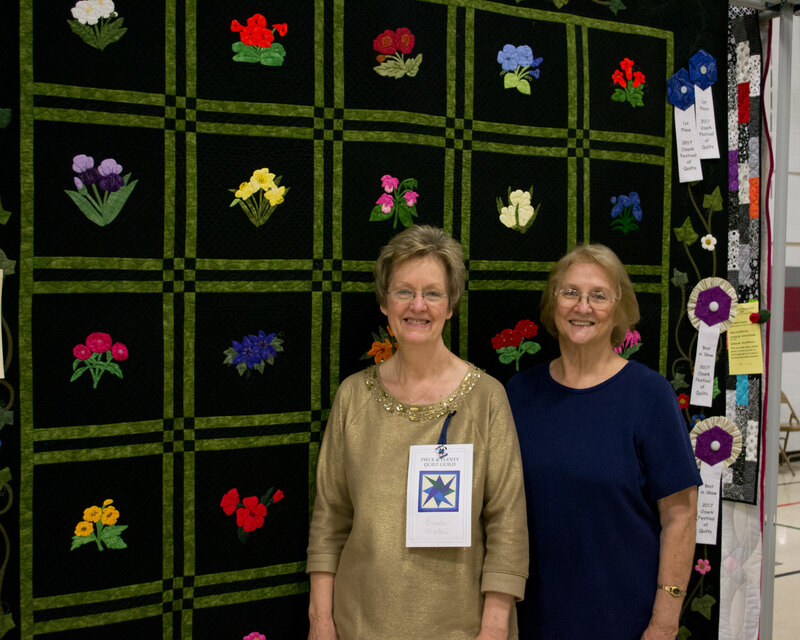 Our 2017 Ozark Festival of Quilts was a HUGE success! 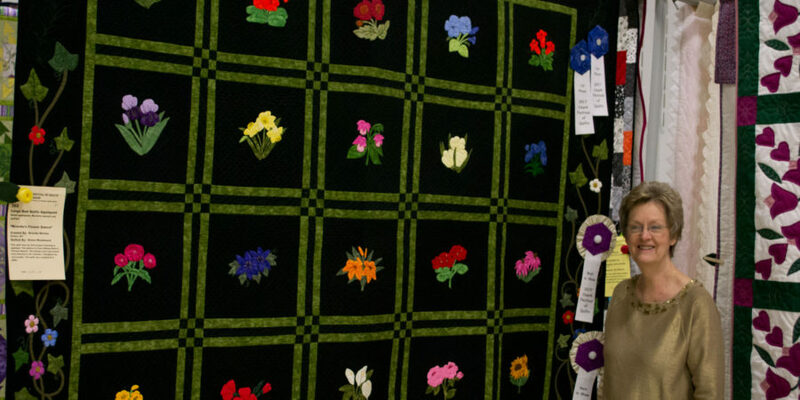 I have heard so many positive comments about how organized and fun our show was from visitors, vendors and members. All I can say is that “the whole is only as good as its parts” and every part of our show ran like a well-oiled machine. 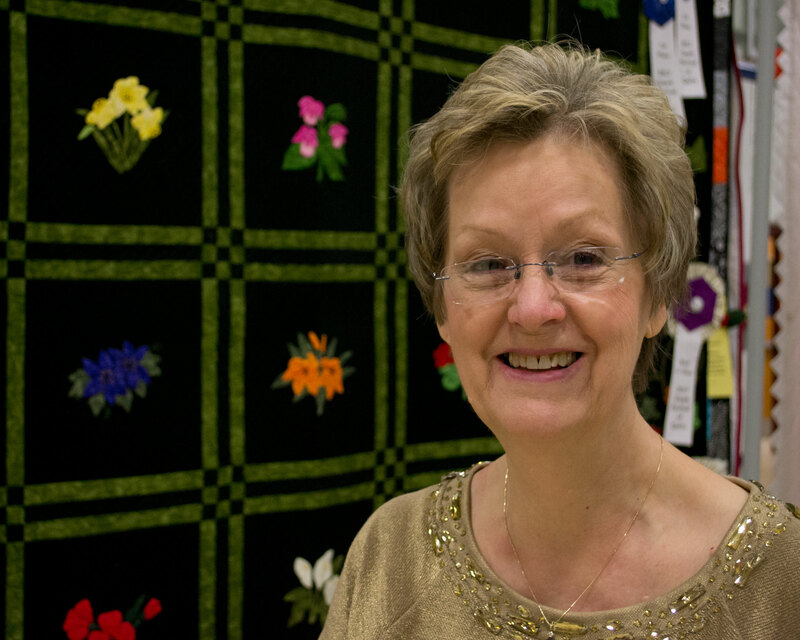 Every committee took their responsibility seriously and did their best to be successful. 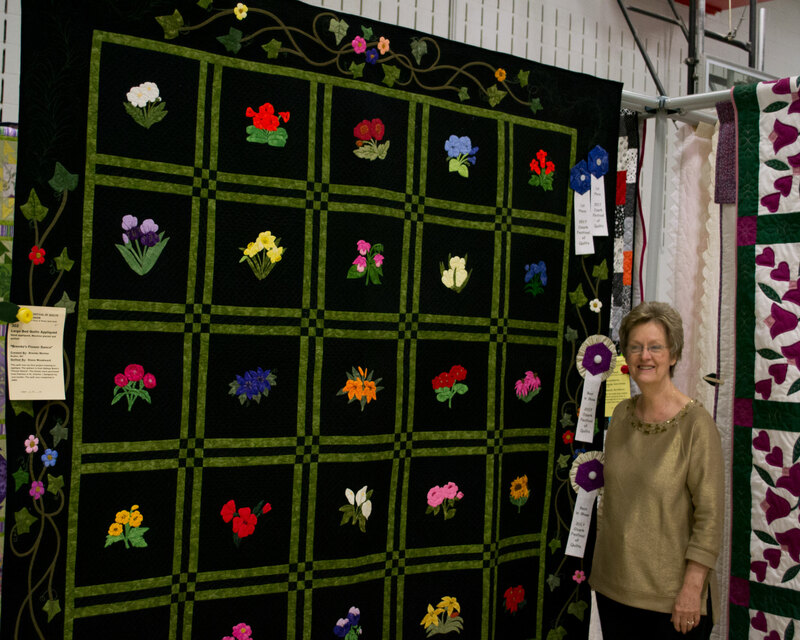 The raffle quilt was won by Jill Capps of Salem, MO, and the sewing machine was won by our own Ina Bicknell. 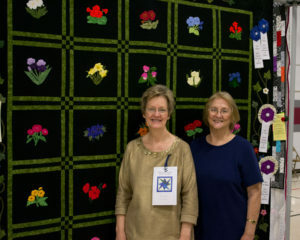 Thank you to every committee chair, every committee member, every quilter who entered their fantastic quilts, and every person who worked to help check in the quilts on Thursday, everyone who helped our judge or with Peer Review, to set up, tear down, and work during the show. You gave your time and efforts and your determination to do the best job will not be forgotten. I know it’s merely words, but THANK YOU ALL from the bottom of my heart. 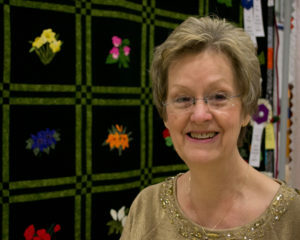 Photos of “Brenda’s Flower Dance” quilt are below.